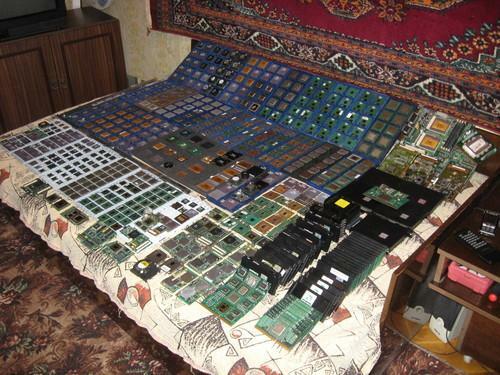 Largest private collection of CPUs has been discovered upon one Russian guy has posted a message on a forum. 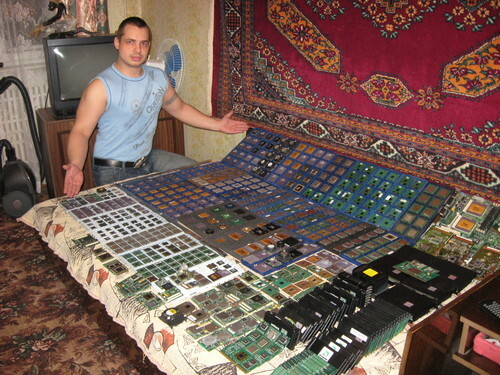 His message says “here is my humble collection for you” and then listed something more than one thousand of different types of computer processors he collected. There are ones from the old times and as well as modern ones, the lost and seemed never coming back relics of Soviet Russian genuine processors that preceded Intel world dominance and many other interesting findings he had. Well done man! Go ahead!! he is president of the Russian chapter of the involuntarily celebate club. Interesting. 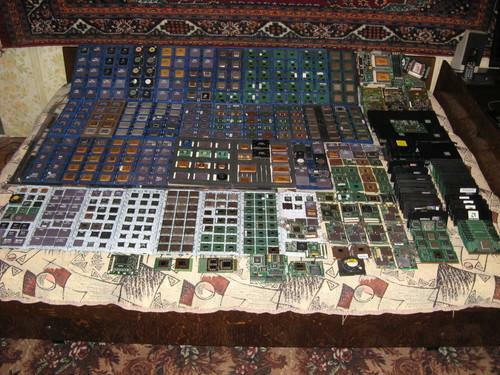 I wonder if he realizes how much gold there is in those old CPUs? 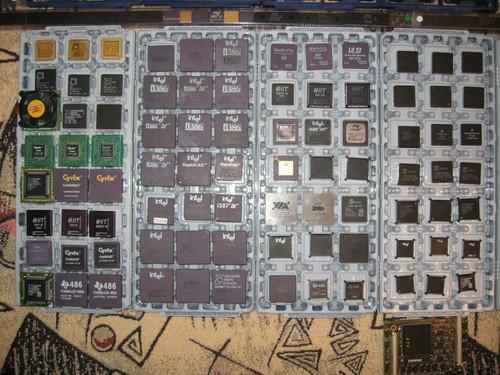 from some tests I’ve done on old CPUs, some have about a gram of gold, plus some platinum, but the newer they are, the less they have. He needs to put his cell phone number on that display. The ladies will be calling for sure…they love virgins. The photos don’t do much to show off the collection. In fact, all the ones I can read in that last photo are things I find in computers around my office here in the U.S. all the time. congratulations! your number one super awesome guy my friend!